Quarterback Jaime Rangel returns after passing for 1,045 yards and six TDs last season. Outlook: Cutts hopes that experience will help the Sundevils take the next step this season. The team has 22 seniors, and plenty of returnees. Rangel is back for a second season at quarterback, and Cutts thinks his signal caller will have more success this season. “He took some lumps last season, but has learned from it,” Cutts said. 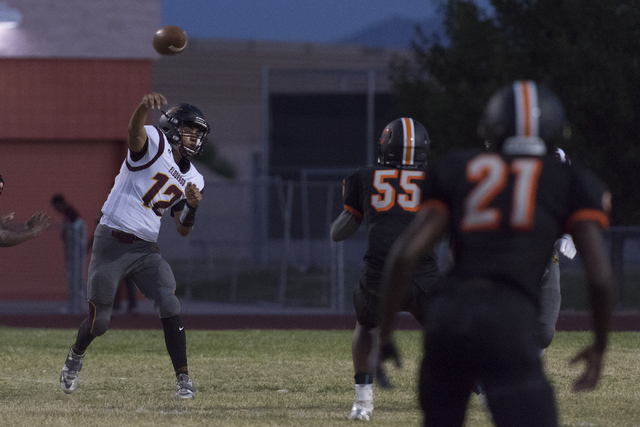 Rangel passed for 1,045 yards and six touchdowns, but threw 18 interceptions as a junior. Aviles should be his top target after catching 35 passes for 342 yards last season. Malone returns in the secondary to lead the defense. He was second on the team with 33 tackles and earned second-team All-Northeast League honors. “Our guys have worked extremely hard this offseason in the weight room to close the gap in strength,” Cutts said.